Viewed from the road in Naikoon. Naikoon Park is headquartered in Tlell. 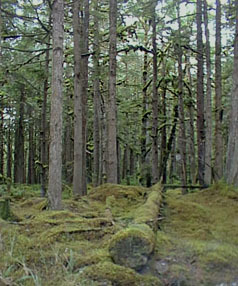 Within the park is beach (LOTS of beach), bog, and pine and cedar forest. And about a zillion other things.